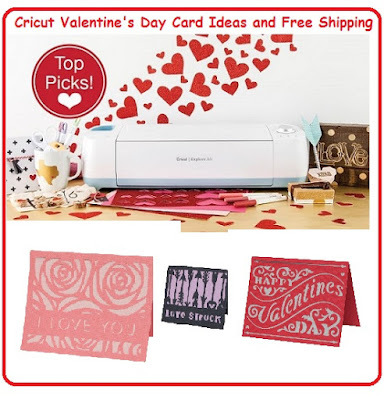 Valentine's Day is one of the best times to get started using your Cricut to make beautiful cards and gifts with your Cricut. There are lots of ideas and projects to make beautiful cards for your Valentine and for other special occasions. Check out the Special deals and discounts currently available at Cricut for a limited time! Create personalized Valentine's Day cards straight from your heart. These new Cards are created in just 2 cuts and will be sure to show your love!